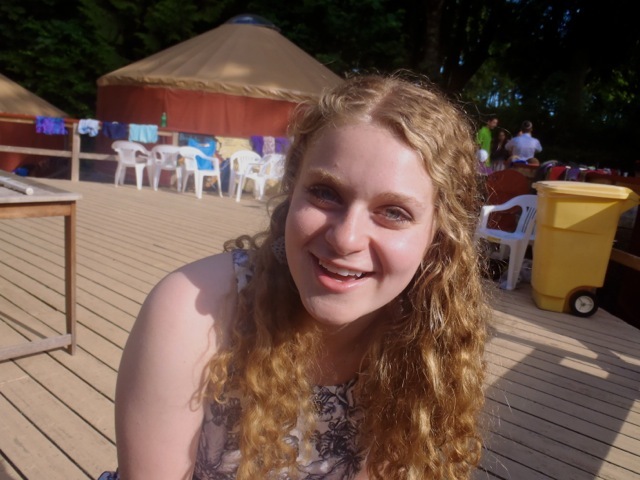 Rebecca Kahn is a 17-year-old high school junior living in Portland, Oregon. She attends the Arts and Communication Magnet Academy of Beaverton, Oregon where she specializes in writing and dance and some photography on the side. She has been taking creative writing classes since the 5th grade and now runs her school’s annual writing festival, Pinwheel. She is a full company member in Dance West, a pre-professional dance company. She loves to read Catcher In The Rye-esque books and watching classic old movies. “Art House” was selected as a Top Ten Winner in our Summer 2013 national poetry contest. You can view this winning poem by clicking here. In the future, Rebecca hopes to attend college as part of a really great English Language and Literature department. Getting through high school is her main priority right now. That and enjoying all the opportunities she has!